Winter Half Tour of Bradwell:- did someone mention:- "If Winter comes, can Spring be far behind.." We seem to be stuck in winter. Nastily icy down Cave Dale, nastily windy on Lose Hill, and plenty of frozen grass to slip on. One of those events where the organisation needs to be spot on, and indeed it was. More excellent food and warm drinks after. A larger field, with Edale looming up. 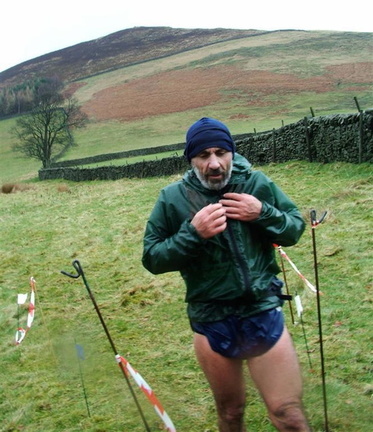 And for Edale, it could be a long, long way home from Win Hill.....Results.